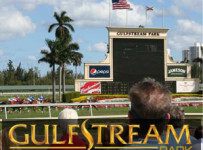 Please turn to our blog this afternoon for previews and coverage of today’s racing at Gulfstream Park. 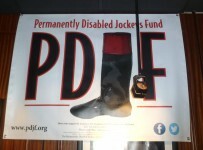 Our blog http://insidefloridahorseracing.blogspot.com/ may be accessed on the menu bar at the top of the home page of this Web site. The day’s co-features are the first two races in the Florida Sire Stakes for eligible 2-year-olds. The $100,000 Dr. Fager is six furlongs on dirt for males. It is the 12th race. The $100,000 Desert Vixen is six furlongs on dirt for fillies. It is the 13th and final race. First post is 12:15 p.m. There will be a new pool on the Rainbow 6 on races eight through 13. On Friday there was a single winning ticket on the Rainbow 6. It took down the jackpot/carryover of $734,000.